When operating a business on a global scale, there are many market drivers, creating both opportunities and threats, which can have a significant impact on operations. This means businesses need to identify areas that offer long-term growth potential and differentiate them from competitors to give them a sustained advantage. Clinigen is a global pharmaceutical and services business, committed to delivering the right medicine to the right patient at the right time. The company operates in three areas of global medicine access: clinical trial services, unlicensed medicine and commercial medicine. We are present in dynamic markets in more than 100 countries and are experts in ensuring that physicians and pharmacists are able to access the medicines their patients need in difficult-to-treat cases. Globally, between two and five billion people have low or non-existent access to the medicine they need. 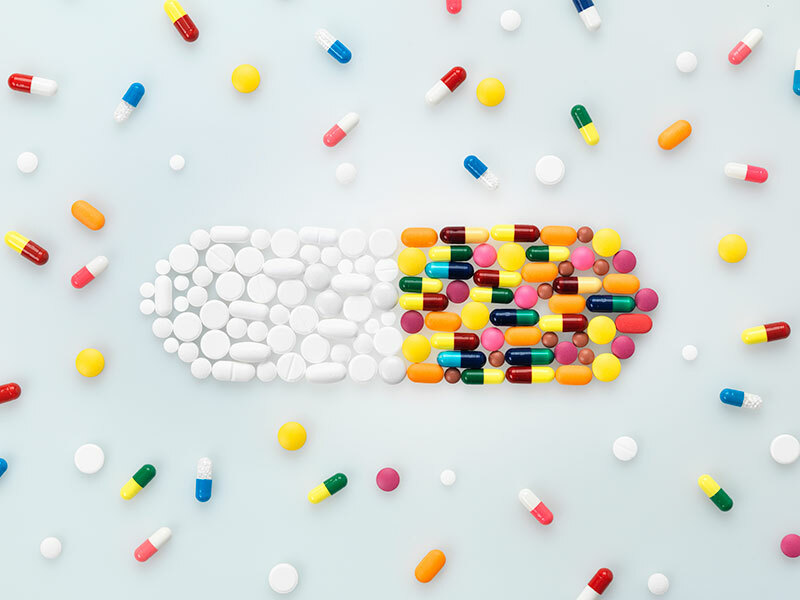 Population growth, an ageing population, increased chronic diseases, better patient knowledge and concerns about counterfeit medicines are all driving demand for quality medicines that are not available at the point of care. Clinigen’s unique combination of businesses provides access to medicines across the key stages of a pharmaceutical product’s lifecycle: clinical trials, unlicensed and licensed medicines. We offer access and supply solutions to pharmaceutical companies and healthcare professionals (HCPs) through a combination of a global outreach and local knowledge. We have broad and well-established relationships with pharmaceutical companies, which increasingly require a trusted partner to supply and distribute medicines to patients and HCPs who require assistance in accessing the medicines they need. Pharmaceutical companies face many challenges, including insufficient research and development, rising costs and unsatisfactory commercial launches. HCPs have to balance time spent accessing medicines with the speed of patient treatment, they face obstacles in accessing unlicensed medicines, and are always concerned with quality assurance and patient safety. By creating long-term relationships with customers and regulatory bodies such as the European Association of Hospital Pharmacists and the European Alliance for Access to Safe Medicines, Clinigen is becoming the partner of choice for access to medicines. Furthermore, Clinigen is supporting resources for HCPs, such as Point of Care: The Journal of Near-Patient Testing & Technology, which was launched in 2017. Investigator Initiated Trials (IITs) are independently sponsored studies developed and executed by third-party physician researchers or key opinion leaders (KOLs). These studies generate data from real-world situations and are intended for publication, rather than product registration. As well as strengthening a product’s long-term efficiency, safety and prescribing information, IITs can address data gaps and provide insight into untested combinations and new disease indications. They are playing an increasingly important role in how pharmaceutical and biotech companies develop and use new medicines. Data in the US suggests there were more than 11,000 studies completed in 2016, a four-fold increase over a five-year period. Some companies support just a few trials of this type, but many can have more than 1,000 studies in progress or development. IITs can be complex, and it is difficult for companies to provide the support needed to manage product supply for these programmes, especially on a global scale and for newer specialist medicines. As a result, many companies choose to work with a specialist outsourcing partner such as Clinigen, which supports companies and KOLs throughout their IITs. Clinigen’s Clinical Trial Services operation is the global market leader: it promises to provide quality-assured comparator medicines to clinical trials, and is well positioned to adapt to changes in this market. Clinigen is also a global leader in ethically sourcing and supplying unlicensed medicines to hospital pharmacists and physicians for patients with unmet medical needs. We manage early access programmes, called Managed Access Programmes (MAPs), to provide innovative new medicines that remain unlicensed at the point of care. The primary objective of MAPs is to provide the physician with a treatment option where all licensed, commercially available treatment options have been exhausted and there are no clinical trials available. Often, the number of patients treated in MAPs is higher than the number of patients treated in clinical trials for that medicine, and so they present an opportunity to gather evidence from a group of patients receiving the same treatment before launch. These programmes are a chance to collect real-world data, providing evidence to support the product’s long-term effectiveness, safety and value. Real-world data is becoming more important in the approval of medicines, and is playing a growing role in ensuring patients have ethical access to innovative treatments. At Clinigen, as part of our unlicensed medicines operation, we advise companies on the importance of leveraging real-world data to ensure a product makes an impact and sustains its value. Since the 21st Century Cures Act came into effect in the US in 2016, pharmaceutical and biotech companies have been required to disclose their early access, expanded or compassionate access policy. As a consequence, Clinigen now guides companies through the development of their own best practice policy. One of the aims of the act is to provide transparency regarding the process physicians must follow to request access to medicines. Having a policy in place should encourage a considered, objective discussion of the ethical, logistical and strategic framework used to deal with patient requests. At Clinigen, we advise companies in evaluating and establishing best practice policies. During times of drug shortages, it is patients who suffer. Alternative drugs are used, modifications in treatments occur and costs increase. Between 2011 and 2014, the US Food and Drug Administration announced that there were 456 instances of drug shortages, ranging from sterile injectables, anti-infectives and oncology treatments. Multiple factors contribute to drug shortages, including quality, manufacturing complexity, speed of regulation, decreased margins and inventory-related issues. At Clinigen, when we acquire an asset, we take every step possible to ensure the product won’t go into short supply. This gives physicians confidence to use the product, keeping it on the prescribing guidelines and helping to drive sales. Every business has to adapt to changes in the markets in which they operate. This is especially applicable to Clinigen, given the heavily regulated sectors and multiple geographies it operates in. Developing a robust business model that focuses on specific long-term unmet needs, but is also flexible enough to adapt to change, is a challenge. However, we believe that Clinigen is in an excellent position to capitalise on the substantial opportunities our market presents.